Pick up both sizes, Small for interiors and Large for exteriors! The Detail Factory Ultra Soft Detailing Brushes are specifically designed to help you safely clean even the most sensitive areas inside and outside of your vehicle. We recommend you pick up the Small size for interiors and the Large size for your exterior surfaces. When cleaning areas like the navigation screen, gauges, dashboard, buttons, knobs, vents, painted areas around emblems, etc. they are not only sensitive but hard to clean with all of the edges, nooks, crannies, etc. With the Ultra Soft Detailing Brushes, the bristles will help you reach all of these areas, easily removing dust and dirt. The larger version is commonly used on wheels as well since it's a great cleaner and very soft and safe. It can also be used on the trim, moldings, emblems, grill, etc. If you have stubborn build ups the synthetic bristles are resistant to most chemicals so you can use it with your favorite wheel cleaner, interior cleaner, degreaser, etc. The ergonomic design was created by the Detail Factory with a textured handle allowing for easy grip, even when wet and the two sizes give you options for any detailing step. If you want a brush that gives you the confidence to clean virtually any surface the Ultra Soft Detailing Brushes are what you need! 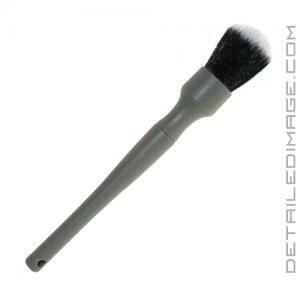 Looking for even smaller brushes for those tight nooks and crannies? 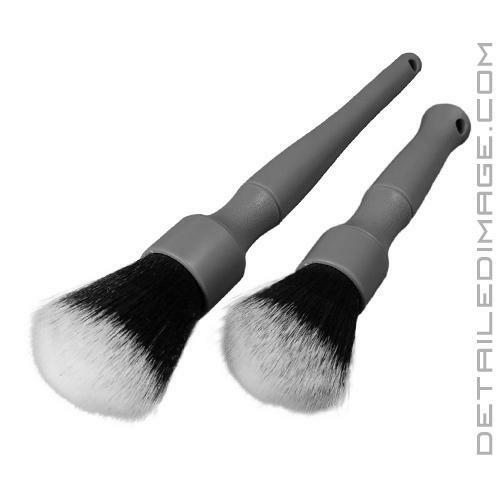 Check out the DI Brushes Detail Factory Crevice Brush Set! I have had these brushes about 1 month and use them regularly(daily). Very soft and good for delicate trims and materials (mainly interior). They hold up great with little shedding of fibers. All in All these high-quality brushes and will order more when I need some. Hands down the best brushes I have used for all detailing applications. It is really soft and does not scratch the car interior or exterior. Highly recommended for car enthusiasts. These brushes are the softest and best brushes I've used. Soft enough to use on the most delicate items and tuff enough to use anywhere else.